We have been producing folding furniture of high quality for breweries for more than 35 years. 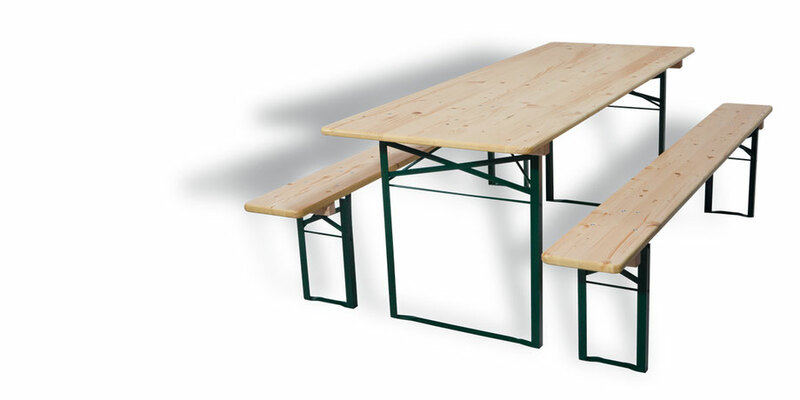 Table tops and bench wood from compact-grained, dried spruce wood with rounded edges. Weather-resistant glued to EN 301 / 302 - Surface coated three times, bottom coated once. Colour: green, blue or red, on request galvanized. according to your needs on request!